If you are trying to get a good physique, fitness or lose weight then walk more steps each day or push yourself through a brutal morning workout, fitness apps can help you. Mobile apps are ideal assistance for health, fitness, and weight-loss because they are always with us, and they're quite personal. Maintaining fitness requires daily habits and lifestyle changes, and a few little nudges in the right direction from your mobile phone might make all the difference. 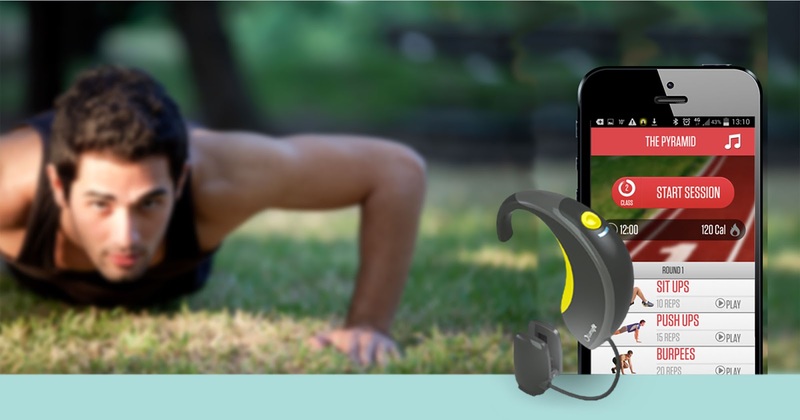 Here is the list of various apps that can help you to track your workout progress. It is necessary to track your physical activities so you can easily achieve your fitness goals. Charity miles is a good app for tracking your workout progress. It gives you money for charities every time you walk, run, or bicycle by using the free Charity Miles app. This is the best bicycle ride tracking app. This app is available on iOS-only. It collects a wealth of data, is very accurate, contains several well-thought-out features, and appeals to fitness enthusiasts who participate in more than one sport. Despite the name, you can use Cyclemeter to track walks, runs, and other activities. It does not include a calorie-counting component, but it is packed with data about your biking outings. If you want real hard stats about your workouts, accelerometers and GPS aren't enough. You need a heart rate monitor...and an app that can access the information it collects. One option is the Digifit iCardio app for iPhone and Android (it's called simply iCardio in Google Play). You can pair it with any supported heart rate monitor to track your runs, bicycle rides, and other workouts. Digifit iCardio records heart rate, of course, but also distance, time, and pace. All the components needed to track heart rate can add up, so plan to spend somewhere in the $50 to $100 range to get full use of this app. FitStar creates custom workouts for you based on your fitness level. You start by doing a few workouts with the app and you give it feedback as you go about which exercises were too tough, too easy, or just right. The app uses that information to create a routine that challenges you in all the right ways. FitStar was purchased by Fitbit in 2015 and now works with some Fitbit devices. The in-app coach is former NFL player Tony Gonzalez, a beefy workout buddy who is nothing but a bundle of positive, cheery feedback, and absolutely no excuses. Is Protein Powder Necessary to Build Muscles? When you hit the gym, do you still carry a notebook or crumpled sheet of paper to all the stations and machines? Don't. With mobile apps for the gym, there are better ways to keep track of your sets and reps. The Jefit Workout app gives you simple tools for crafting weight-lifting workouts and keeping track of the details as you complete your routines. You can log sets and reps, as well as how much you lift. A calendar helps you plan your workout days and rest days. Jetfit Workout isn't especially rich with features, but it gets the job done.